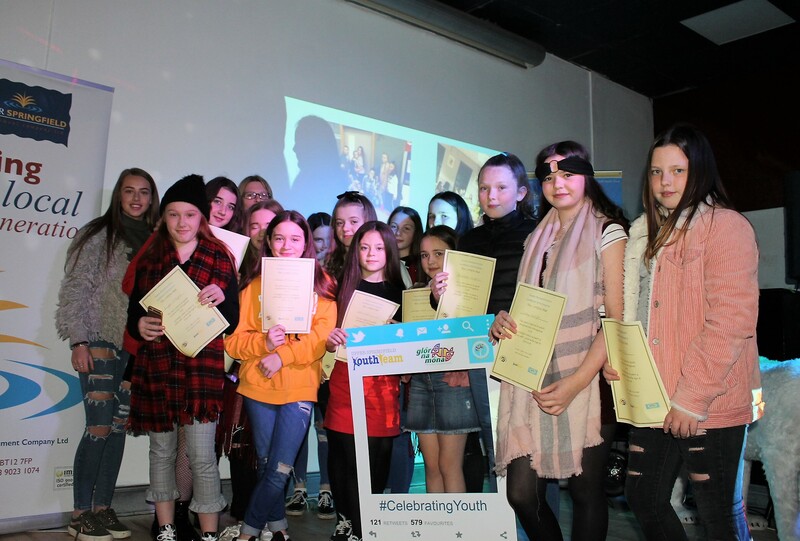 Nearly 150 young people from the Upper Springfield area attended a Youth Celebration event that recognised their achievements and participation in local youth programmes over the last 12 months. 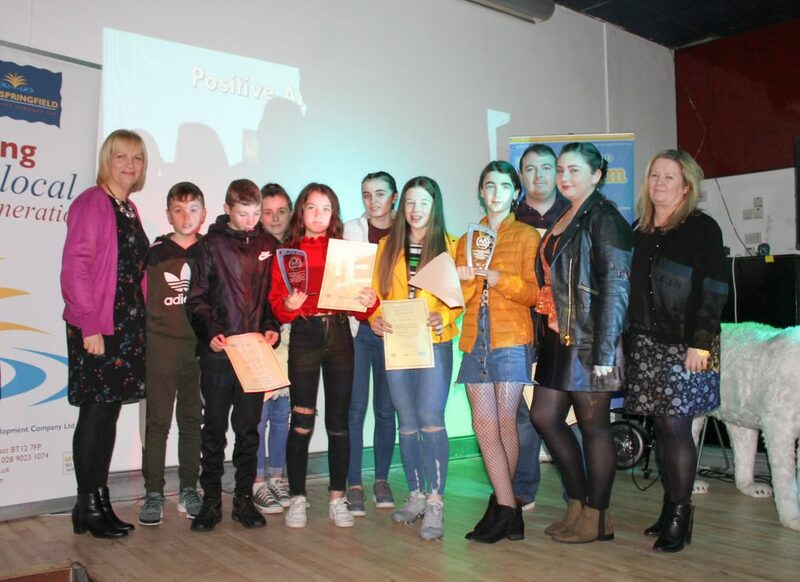 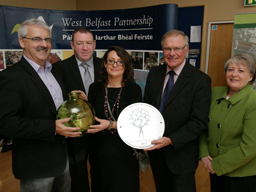 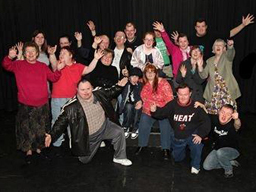 The awards event and dinner, organised by Upper Springfield Development Trust’s Youth Team in partnership with Newhill Youth Club and Glor Na Mona, was held locally in the Trinity Lodge, West Belfast. 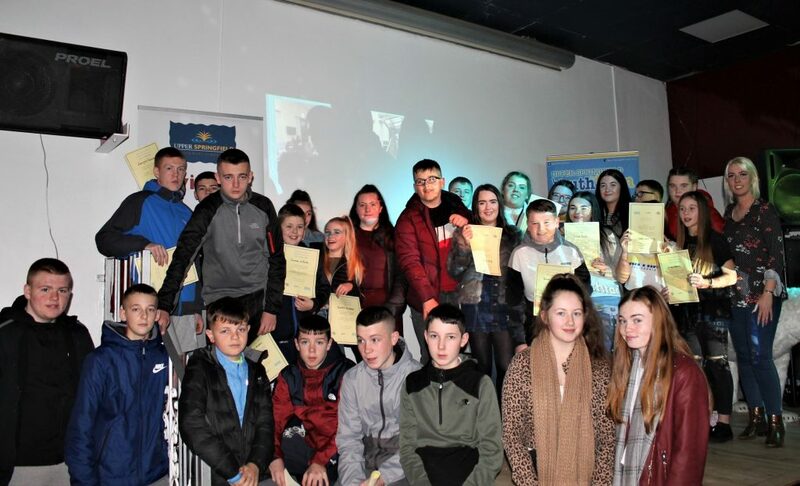 Upper Springfield’s Youth Team Manager, Niall Enright, welcomed everyone to the event before certificates were presented to 146 young people who attend youth groups in the Upper Springfield area. 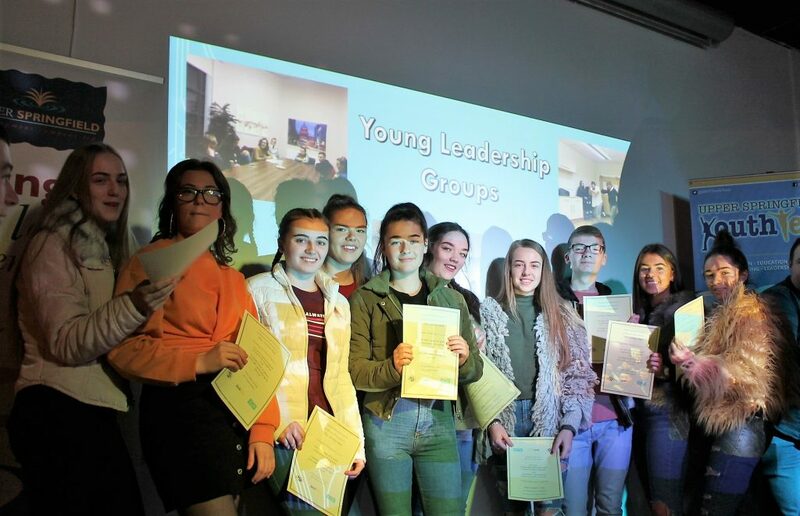 Over the last 12 months, young people from these groups have been involved in a wide variety of projects, from personal development programmes to accredited OCN courses. 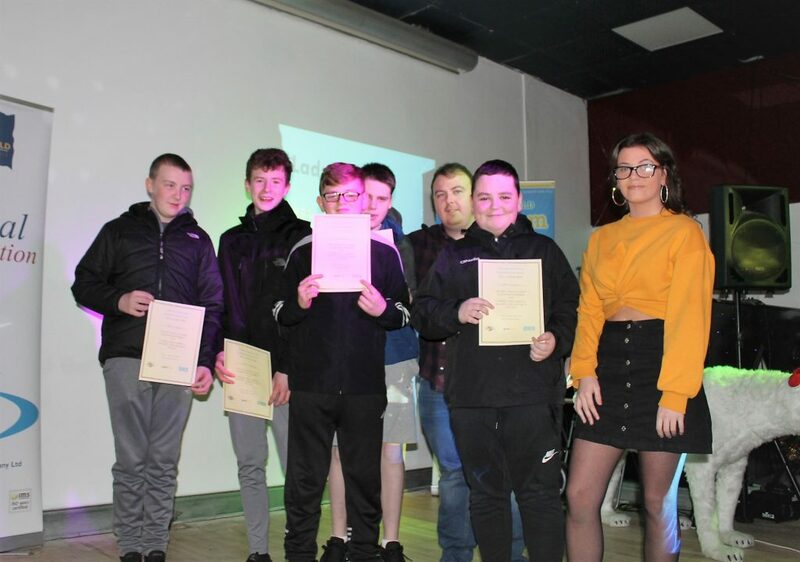 “I have been involved in a number of personal development programmes over the years and these have really helped build my confidence; I have also recently completed my Level 2 OCN in Youth Work. 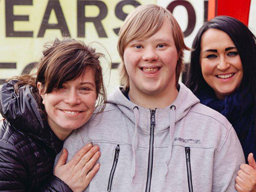 The youth group gets me out of the house, off social media, and out making friends. 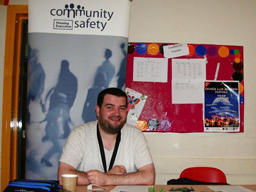 It’s really helped with my self-esteem and confidence, so much so that I want to apply to go to university next year and do a degree in Youth Work”. 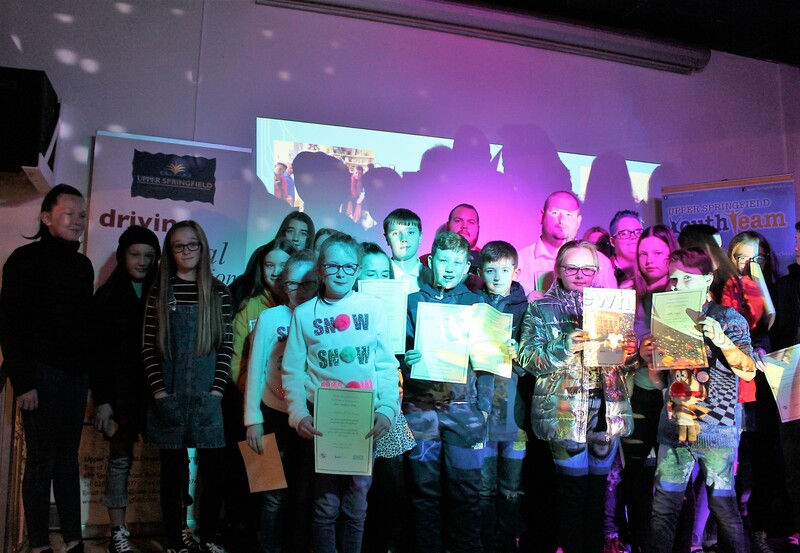 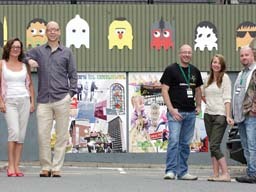 Young people from the Upper Springfield Positive Art Programme at the Youth Celebration event, with staff from Ark Housing (far left and right). 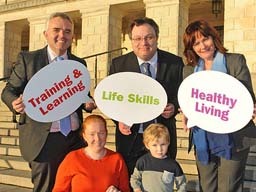 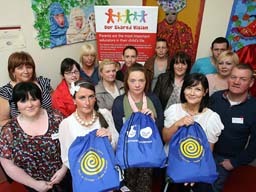 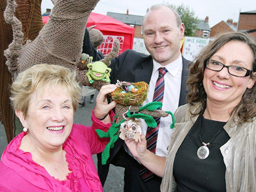 Glor Na Mona Youth Club at the Youth Celebration event. 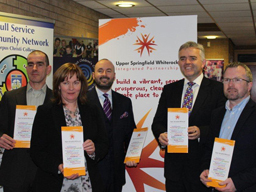 If you are interested in taking part in youth programmes in the Upper Springfield area please contact the Upper Springfield Youth Team on 02890236677 or email n.enright@usdt.co.uk.